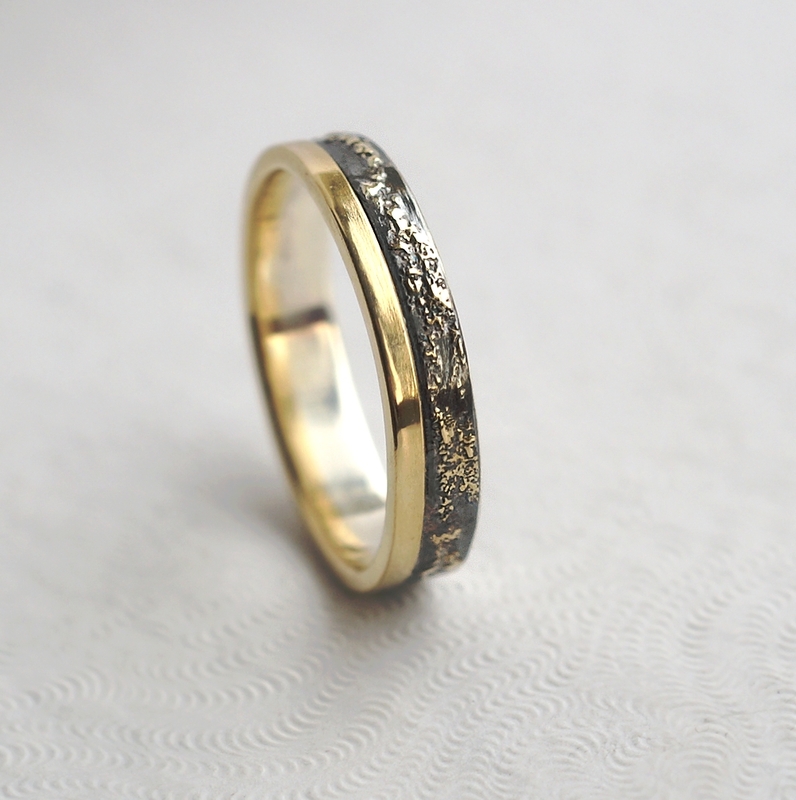 The edge is solid 18k gold. 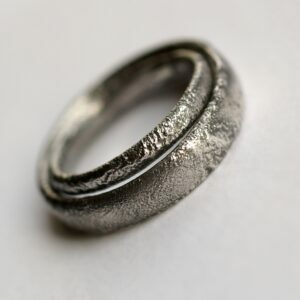 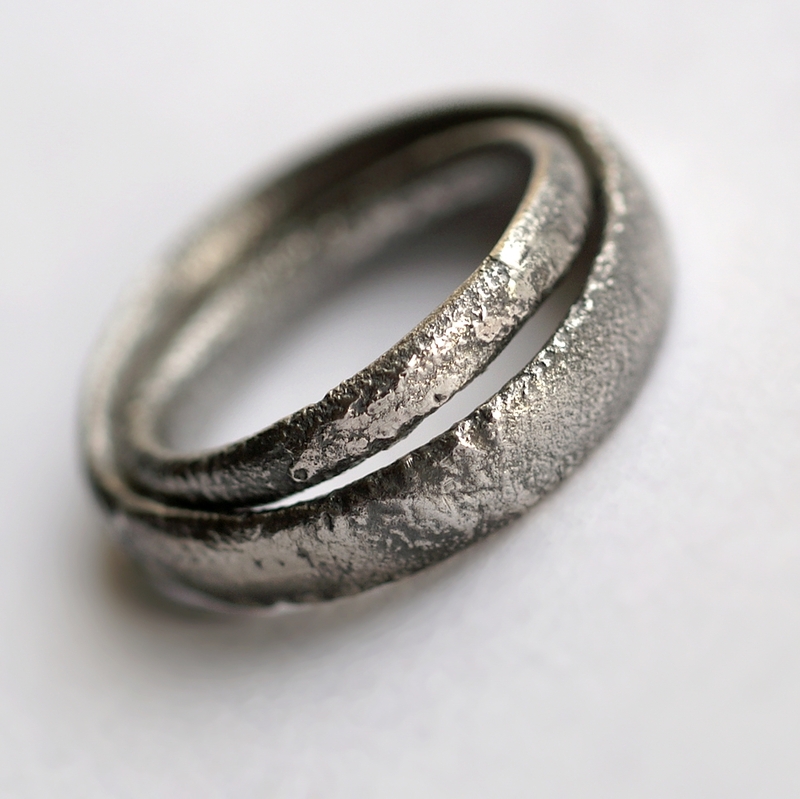 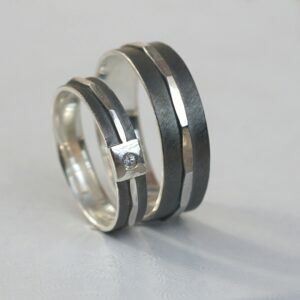 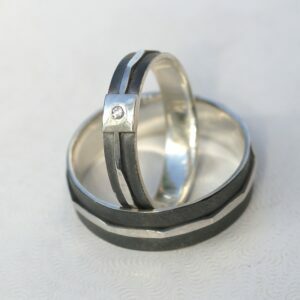 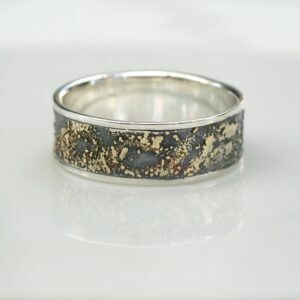 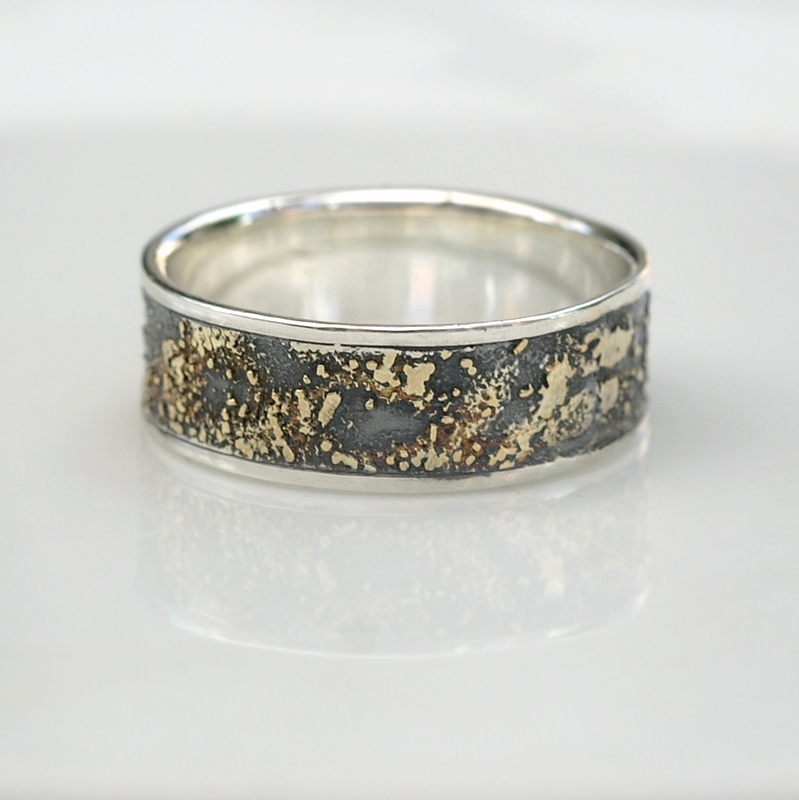 It is oxidized and polished. 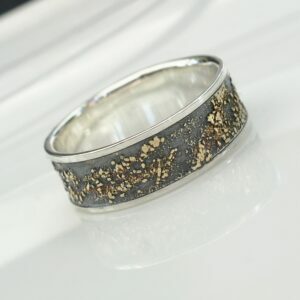 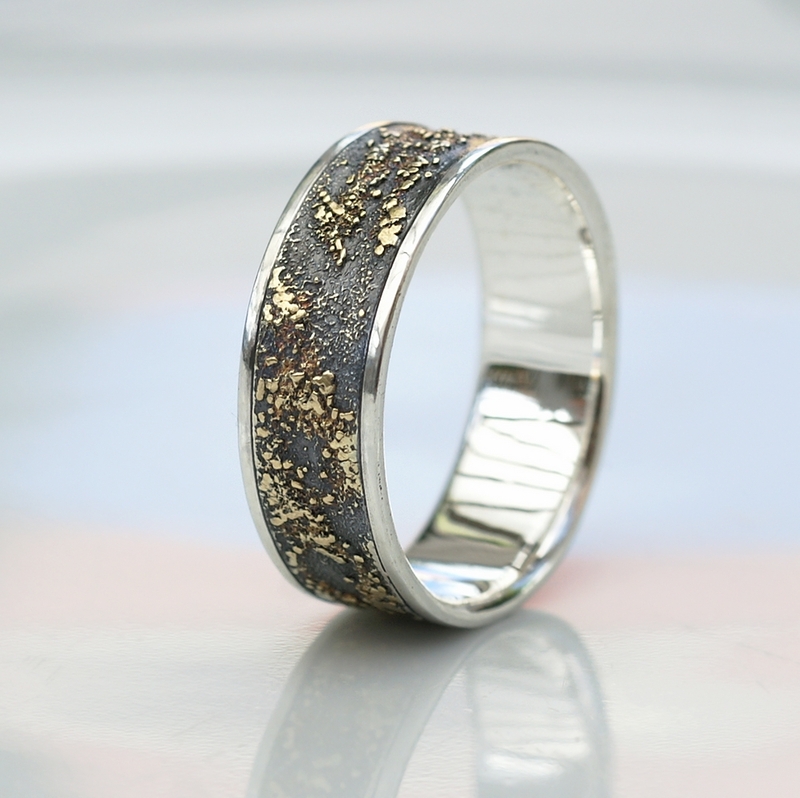 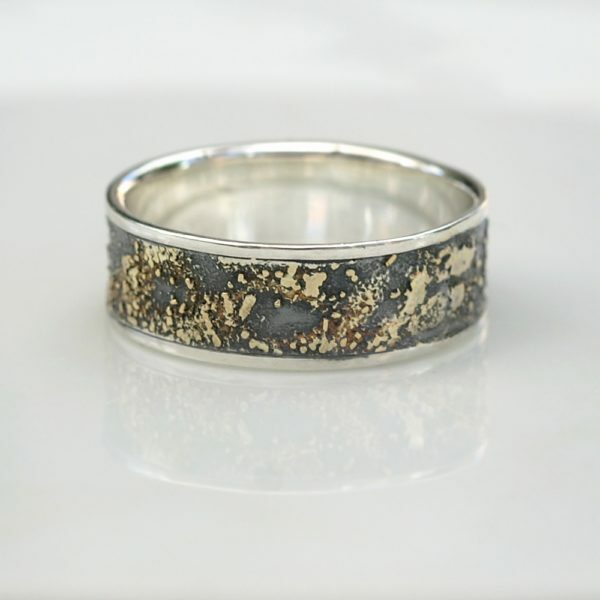 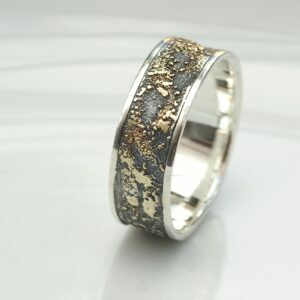 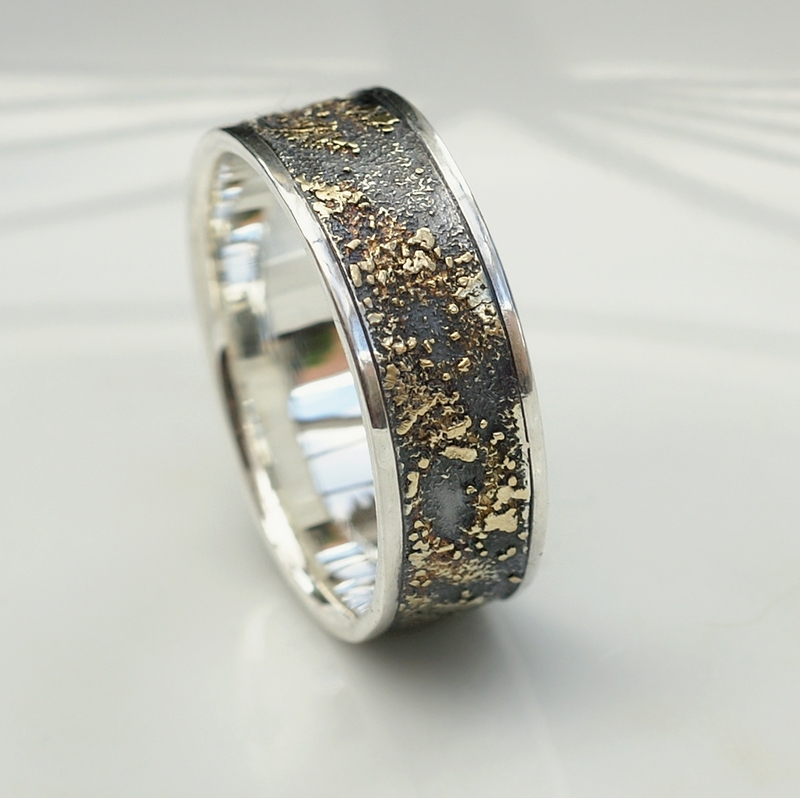 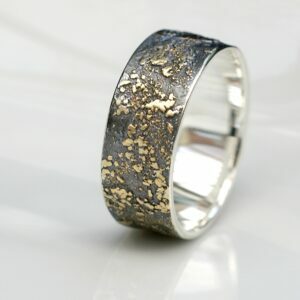 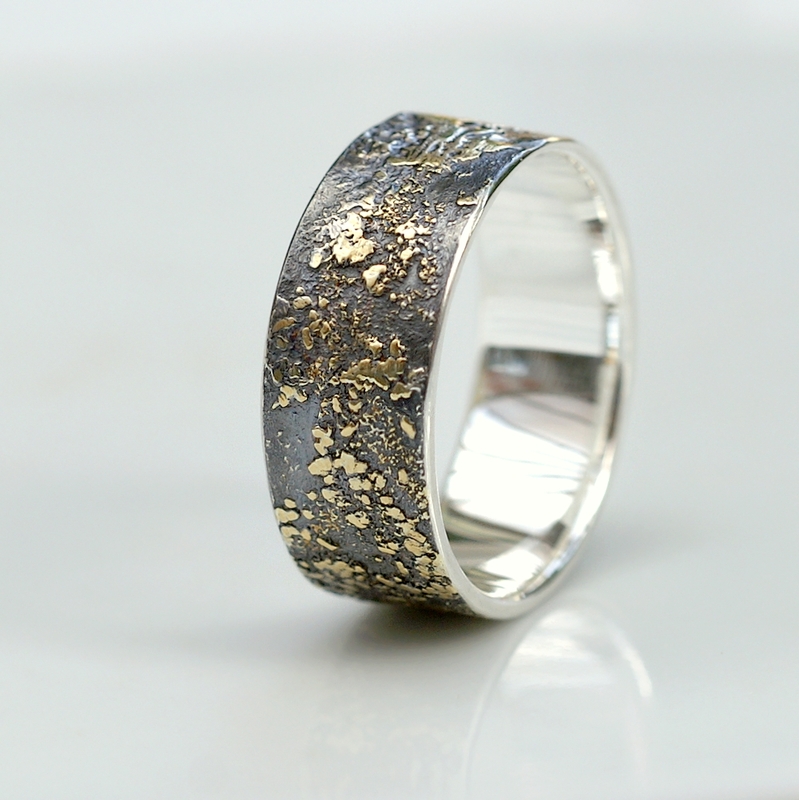 Patina is polished in the inside and the high spots, so it won’t wear off and will stay in the Gold Chaos texture. 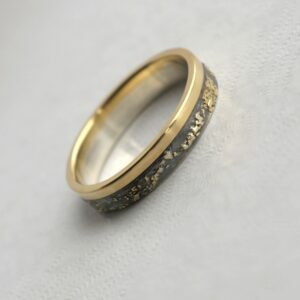 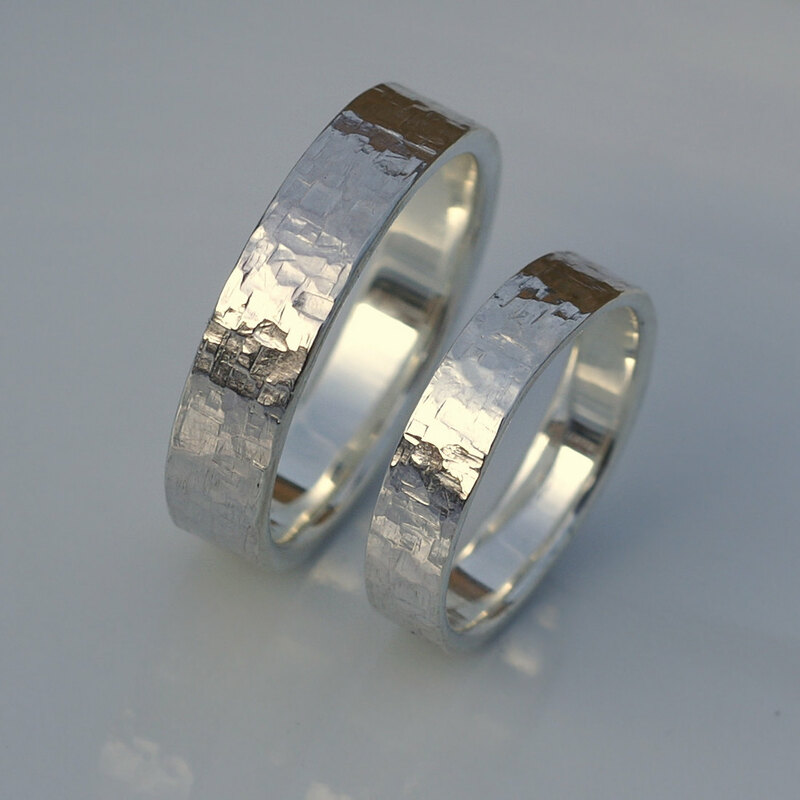 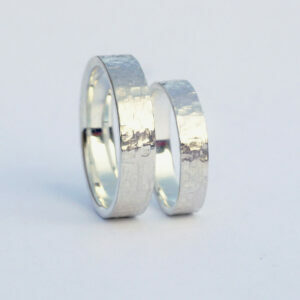 Silver edge is 1.5 mm wide.